Home Editor's picks Was Hamas Really Created By Israel? Were Hamas created by Israel? The pushing question that is both dividing and confusing people across various fronts. A widely ignored topic, that is the result of much argument and confusion. Hamas, Harakat Al-Muqawamah Al-Islamiyyah or the Islamic Movement, is a Palestinian political party officially created in 1987. If you are living in the Western world, you have probably heard the characterization of it as a terrorist organization that uses suicide bombings, indiscriminate rockets and other tactics, in order to bring about the destruction of the state of Israel. For most living in the West, Hamas is seen as an al-Qaeda type group. When many amerce themselves in the politics of Palestine-Israel, this perception of Hamas is carried on and included into their dichotomy of the overall situation. What is important to understand however, is that Hamas is not only nothing like Al-Qaeda or any such organization in its goals, it is also a much larger organization than is typically depicted. Hamas successfully encompasses social, military and political branches into its party. Hamas is many different things, to many different people in Palestine. There are large sums who support, but also overwhelming numbers of opposition to Hamas, particularly in the Gaza Strip, due to its policies, ideology and actions. Hamas was democratically elected in the Gaza Strip in 2006 and claimed complete control over the Gaza Strip in 2007, after inflicting a bloody military defeat upon its largest opposition party Fatah. Since Israel’s departure and Hamas’s rise to prominence, Israel has continued to illegally blockade the Gaza Strip and no proper elections have happened after that of which elected Hamas. The reason for laying out a brief outline of the organization itself, is to roughly paint a picture of what Hamas actually is, in order to later explain why many of the misconceptions about its founding can easily be debunked. If we are going to begin to touch on the origins of Hamas, we must look further back, to before Hamas was actually established. Prior to the establishment of Hamas, was the Mujamma Al-Islamiyyah, which is often characterized as being the same organization as Hamas, due to the familiarity in leadership and ideology. The Islamic charity Mujamma Al-Islamiyyah, was created in 1973 by Sheikh Ahmed Yassin, the same man who later went on – with other Mujamma members – to form Hamas. Sheikh Ahmed Yassin was described at the time, as the head of the Palestinian wing of the Muslim Brotherhood. Sheikh Yassin’s family were made refugees, in 1948, from his home village of Al-Jura, which is now part of what is called Israel today. The Mujamma Al-Islamiyyah was an organization that built schools, mosques, libraries, the Islamic University, formed religious institutions, provided medical clinics, food and other such aid to those in need. It was appreciated by many in the Gaza Strip and this element of the Mujamma was very much carried on by Hamas. What the Mujamma also did however, pushed a particularly conservative view of Islam upon the population of the Gaza Strip. Numerous accounts confirmed aggressive and often violent actions on behalf of people within the organization, against Palestinian nationalists, liberals, communists and others. It is the violent enforcement of their ideology, that Israel – which was at the time occupying Gaza internally- exploited for their political gain. Hundreds of eyewitness of accounts were documented of Palestinians witnessing Israel’s hands off approach, to the organizations iron first enforcement of their ideologies. Many Palestinians claim to have seen Israeli soldiers standing back and watching in amusement as the Mujamma members would attack those who they did not approve of. In 1979, Israel even officially recognized the Mujamma and allowed them to work on their charity projects, they even elevated members of the Mujamma to positions of power in the Gaza Strip. Although the work of the Mujamma, was primarily funded by the Gulf Arab states, it is claimed by former Israeli intelligence agents that Israel provided hundreds of thousands (USD) in funding to the Mujamma. Israel’s aims, with its support for the Mujamma, was division in the Gaza Strip and a counter balance to rivaling factions. Keep in mind that the Mujamma was not an armed group, it was a social islamic charity organization closely linked with the Muslim Brotherhood. When Hamas was created, with the aided influence of the Muslim Brotherhood, the organization was not at first much of an armed group, that came five years later in the form of the Izz Ad-Deen Al-Qassam Brigades (Armed wing of Hamas). Hamas however was far more radical than the Mujamma, had a Palestinian nationalist flavor to its Islamic ideology and attempted to follow in the footsteps of the likes of the Islamic revolution in Iran. A famous speech, delivered by former US representative for Texas, Ron Paul, is often used as reference point for claiming that Hamas was an invention of Israel and hence prompting the idea that Hamas must be controlled by them still. Ron Paul stated that, “if you look at the history, Hamas was encouraged and really started by Israel, because they wanted Hamas to counteract Yasser Arafat”. This speech seems to be the reference point for many today, when it comes to their allegations of Israelis controlling and starting Hamas. Although what Dr. Paul said, was very close to the truth, it was extremely broad and is often misinterpreted into something entirely false. For some time, Israel still allowed for Hamas to operate, taking a hands off approach as it did with the Mujamma. It is completely true that Israel was utilizing Hamas as a counterweight to the Fatah movement, although there is no proof of any further cooperation with Hamas than this. In 1984, the founder of Hamas, Sheikh Yassin, had already been imprisoned – until his release a year later as the result of a prisoner swap – for weapons smuggling. Israel was not the same partner that it had been to the Mujamma and was a lot more aware of its [Hamas] ambitions to reclaim Palestine. The difference between Hamas and many other Islamic organizations, is that Hamas carried with it an ambition to liberate their homeland from their occupier, the same ambition that Israel had hoped to prevent spreading by backing the Mujamma in the first place. For those learned to Palestinian history, you may be aware of allegations against Hamas when it came to the destruction of the peace process. The first ever suicide bombing carried out against an Israeli target by Palestinians, was conducted by Hamas operatives in Afula (North, above occupied West Bank). The attack was the first of a wave of attacks and came as a response for the murder of 29 Palestinian worshippers, in the Al-Ibrahimi Mosque, by an Israeli Settler from the United States. The purpose of the Hamas led suicide bombing campaign, was to punish Israel for its treatment of Palestinians and also to destroy the peace process, following the signing the Oslo accords. Many claim that Israel used Hamas in order to destroy the peace process. However, there have been no suicide bombings in a long time now, no Hamas targeting of random Israelis ordered from the leadership level and the process has not gone anywhere. Hamas prevented Yasser Arafat from signing away more of his homeland and, in the eyes of Hamas, abandoning the goal of liberating Palestine. In fact, if it wasn’t for Hamas, Israel could have possibly gotten away with more distractions and compromising on the part of, Yasser Arafat’s, Fatah Movement. Instead Israel was inflicted with heavy casualties and made to pay a price for its occupation, this forced concessive Israeli governments to prioritize what they called “security” and side track other potential land gains that it had on the table at the time. SO WHAT IS HAMAS TODAY TO ISRAEL? Hamas portrays itself and is seen, by many, as the primary reason for the Israeli withdrawal from the Gaza Strip in 2005. Hamas are portrayed to be a similar force to what Hezbollah are in Lebanon, a group whose resistance led to the retreat of Israel from South Lebanon in 2000. Whether you agree with the analogy or not, it is not all that important here, what is important is what Hamas views itself as. Hamas has never abandoned the idea of armed resistance, despite becoming more diplomatic at times and using backdoors to negotiate with Israel. Allegations exist, alleging that Hamas received Israeli support in the 1990’s, but none of the claims are confirmable. Leaders of Hamas, as well as their families, have been successively executed by Israel, including the organizations founder Sheikh Ahmed Yassin, in 2004. In the end, even if you still believe that Hamas was a creation of Israel, the following should be known, in order to form a proper understanding of what is happening between Hamas and Israel today. Hamas’s Izz Ad-Din Al-Qassam brigades – the groups military wing – are not like their leaders, they’re primarily composed of ordinary Gazan’s who are committed to two things, their land and their God. You can confirm this by simply speaking to people in Gaza. Athough Hamas is widely condemned, the fighters of the Al-Qassam brigades are rarely not hailed as heroes of resistance. The reason that Hamas still exists, is due to their brave, committed and economically poor fighters. Fighters that Israel to this day fears. Israel’s 8 large scale bombardments of the Gaza Strip, showed how incredibly frightened they were during any ground incursions. The Al-Qassam Brigades, defeated Hamas’s rivaling faction Fatah, despite the US money behind the forces opposed to it. The Al-Qassam brigades, also tallied large body count’s of Israeli soldiers during their ground incursions, in 2014 for example they killed 67 Israeli soldiers and injured 469 of them. On top of their military mite, when it comes to on the ground warfare, is a sophisticated underground tunnel system operating in Gaza, which Israel cannot destroy without a ground incursion. These realities are not a positive thing for Israel. The fact that the supposed “top military force in the Middle East”, is petrified of ground confrontations with the armed wing of Hamas, says something about what weight its armed resistance carries in the organization. BUT WHAT ABOUT THE ROCKETS? Another important question that comes up about Hamas, is their firing of indiscriminate rockets into Israel. People often ask, why would Hamas do that? Leading to accusations of Israeli ownership of Hamas. It is widely understood that the rockets fired by Hamas do next to no damage to Israel and in return Israel has its excuse to level Gaza with the newest in military technology. Many people in Gaza despise Hamas for firing rockets in and around their neighborhoods also, due to the fact that their homes get targeted by Israel as a result, a very valid criticism to the firing of their, so called, rockets. To explain the firing of rockets and why it happens, we have to look further than mainstream media reporting and surface level information. First of all, it is not just the Al-Qassam brigades that fire projectiles at Israel, it is also Islamic Jihad and others who do the same. Secondly, we must understand the tactic that is being employed here by Hamas and other such factions. Hezbollah, in their battles with Israel, used the tactic of firing their rockets at Israel, in response to Israeli aggression. Hezbollah’s tactic worked and inspired Gaza. The problem in Gaza, was that the rockets were not comparable to that of Hezbollah. The third point to be understood about the rockets, is that Israel refuses to confront Hamas on the ground most of the time and that Gaza has no means of self defense. In order to maintain their image as a strong resistance movement and keep confidence in those suffering in Gaza, they [Hamas] have to appear to be acting. The fourth and perhaps most important thing to understand about the rockets, is that they do not “provide Israel with an excuse to bomb Gaza”. The rockets were part of the propaganda campaign to smear Gaza, but this point of them being the reason Israel struck was easily debunked. Israel does not need the rockets as an excuse, as seen with the ‘Great Return March’ protests, Israel can kill 270 plus people, none of their own die and they still play the victim card. If you look at every large scale Israeli bombardment of Gaza, none of them have started as a result of rocket fire. Israel launches hundreds of artillery, air and naval strikes at Gaza every year and in response comes rockets, yet there’s not a war every time. Israel chooses when it wants war. It is also Israeli propaganda that Hamas fires their rockets randomly (time wise), they almost always come as a response to Israel attacking Gaza. In fact, last year, there wasn’t a single occasion when rockets were fired and Israel had not fired upon Gaza first. Many times, both last year and this year, Israel has fired upon Hamas targets, killed Hamas members and rockets still haven’t been fired in response. To conclude, the understanding of Hamas that the West has, comes primarily from Israeli controlled propaganda sources, leading us to draw false conclusions from what they have provided. Whilst Palestine-Israel is relatively easy to comprehend, the complexities of Palestinian political factions, the use of military tactics and the history of Gaza specifically, are a little more nuanced than many would think and therefore need further investigation in order to properly understand. Hamas allies in HTS/al-Nusra kill your IRGC soldiers in Syria while Khamenei funds Hamas, LOL! Sückers! Hamas destroys wedding party in Gaza : Music is banned under Hamas’ sharia! Hamas beats guests and actually killed the groom. 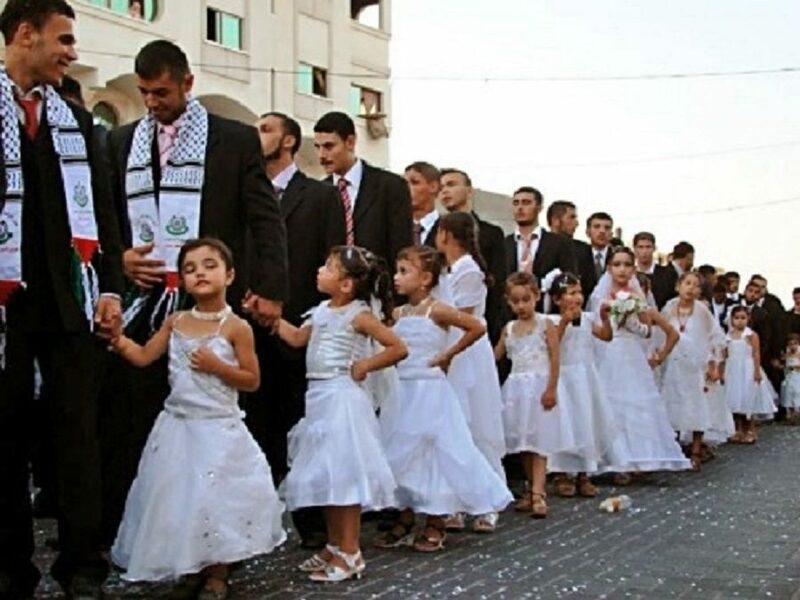 I suppose you consider paedophilia as legit under sharia? No niqab/hijab before puberty, right? za313 : so, how would you react would your 6-9y old sister or daughter would be getting “married” to an adult who will F**K her within a few hours? The “resistance” you praise is the “resistance” of serious barbarians against civilisation! They’re no better than animals, if not worst. Their crazy ideology is the worst crime against humanity. IDF is way too nice with these creeps. Those girls are flower girls. This was debunked a long time ago. And music isn´t forbidden in Gaza. 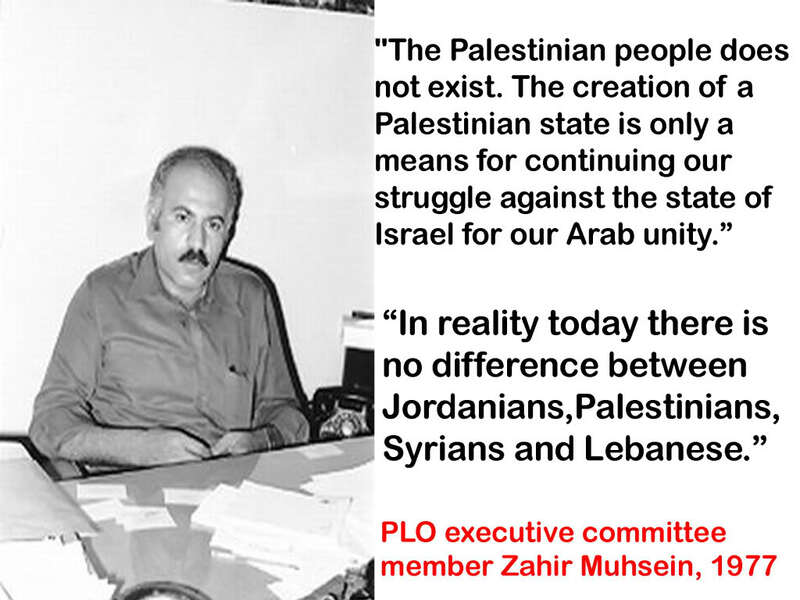 When Was the “Palestinian People” Created? Here’s the Answer!!! Muslim Brotherhood = CIA op. Look it up.